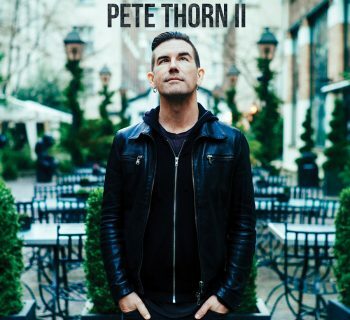 “Combining superior technical skills with an ear for gorgeous tone and the gift of superb songwriting, Pete Thorn II sets the bar astonishingly high for any instrumental releases set to follow this year” says Editor-in-Chief, Scott Kahn, of Pete Thorn’s 2018 sophomore album. 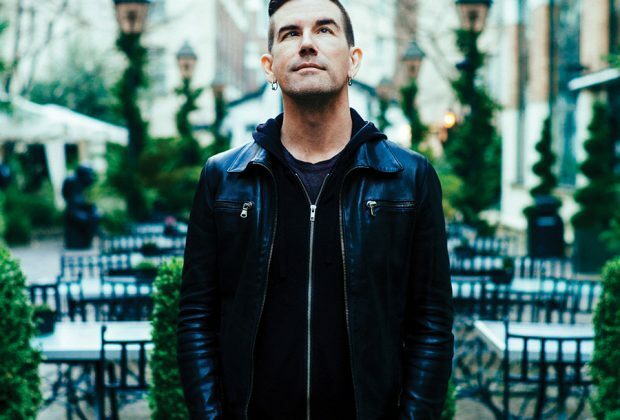 Recently MusicPlayers.com spoke with guitarist, writer, producer Pete Thorn about what it takes, and what it’s taken, to be on the shortlist in a big town. During that conversation Pete was kind enough to give us a track-by-track breakdown of Pete Thorn II. 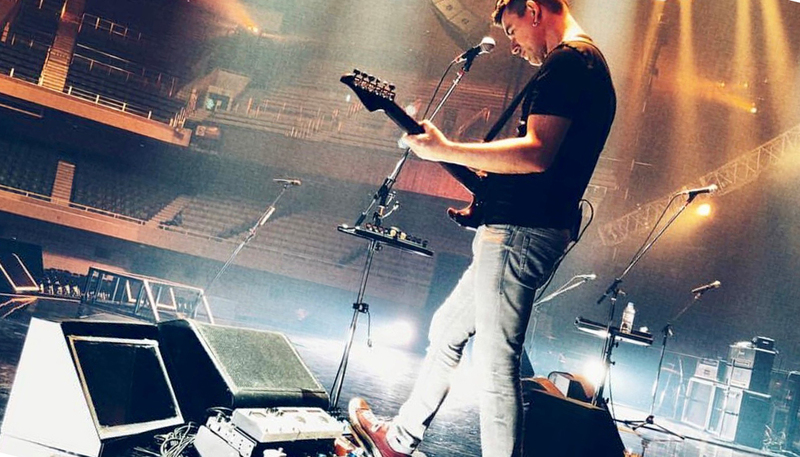 Here, Pete shares the inspiration behind the songs, a discussion of the amazingly talented lineup of musicians who contributed to the record, and (specifically) the guitars, gear, and other equipment used to achieve those sought-after tones. 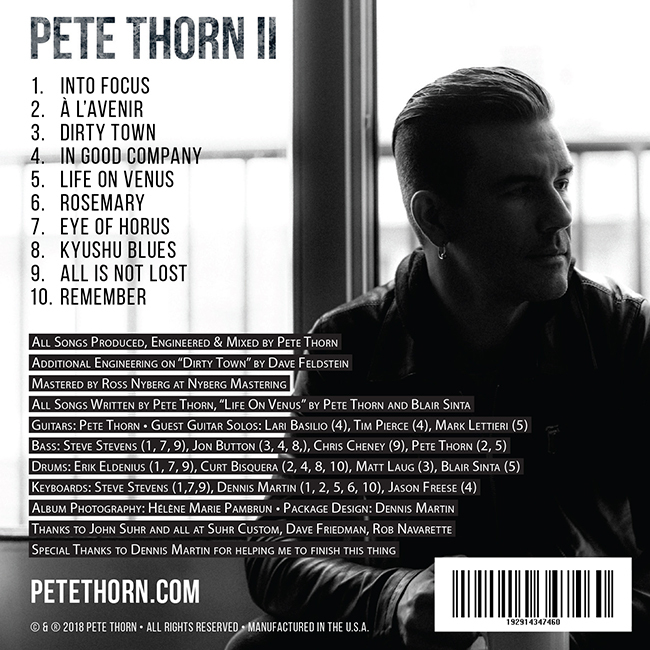 You can read Scott Kahn’s review of Pete Thorn II here, quickly reference the below embedded media or, just head on over to Amazon, iTunes or CDBaby to pick up your copy today. MPc: We love your new solo record, Pete Thorn II. 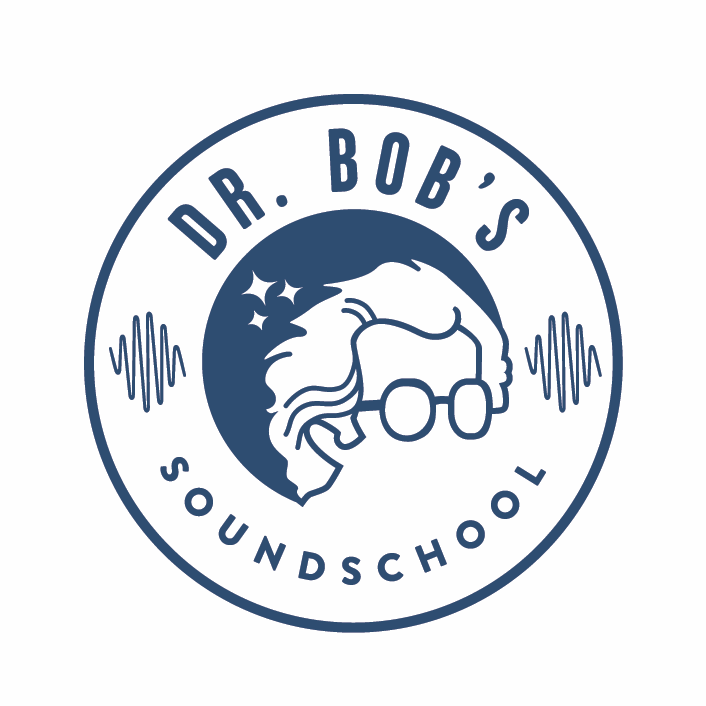 What is your approach for choosing the right gear to bring to the studio so your time is best spent making music vs. experimenting or even being overwhelmed by choice? PT: Thanks! I’m so glad you like the album. I’m honestly superscattered and disorganized. I really just plug in whatever I feel like using that day and dial in a tone and GO! Stuff sounds so good these days, if you can’t get a tone within a few minutes, there must be something wrong. MPc: Our audiences are gear junkies. 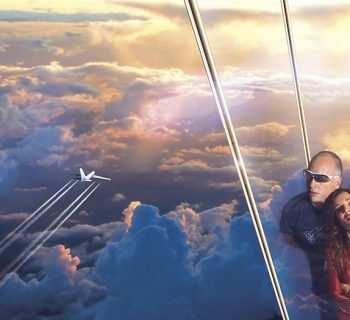 Can we go, track by track, through Pete Thorn II and dive into some of the inspiration behind the tracks as well as the guitars, amps, effects and other gear used during the recording and production process? Into Focus. Started out as a demo for a treble boost pedal. I always thought the riff sounded like STP, and I actually talked with my buddy Tommy Black, who played bass with Scott Weiland, about working up a song with Scott using that riff. Sad that it never happened. The tuning is standard but down a minor 3rd, C# to C#. I played the main riff on my Suhr Tele with heavy strings, and used a 65 Amps treble boost pedal, I think into the SL68, Suhr load, and Celestion IR’s for the main riff, which is triple tracked and panned. The snarly little Jimmy Page-ish parts are done using a wah stuck On. 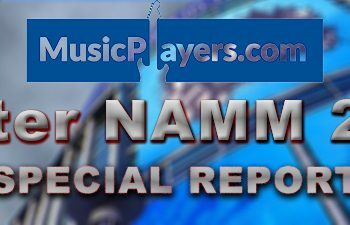 I played most of the solos using my white Suhr Classic in standard tuning, and I did those at home using the Kemper and PT100 profiles I made. The wah solo is using the Helix and Kemper together, 4 cable method, and the “throaty” wah in the helix, which I love! The next solo is triple tracked, like Randy Rhoads used to do- it’s a great trick to make solos go to ‘the next level”, plus you can split into harmony whenever you like and get some color going that way. Bass and drums are Erik Eldenius and the legendary Steve Stevens, who is soawesome and such a great pal, I can’t thank him enough for playing on my music! À L’avenir. One of the last songs I wrote and tracked for the album. Main riff is my PT Signature guitar, into the UAD Brainworx/Friedman BE100 amp plug in. The chimey clean chords are the PT100 running direct (no speaker sim) set crystal clean with a bunch of compression and some mod and echo/verb. It is the great Curt Bisquera on drums, which we recorded in my studio. I played bass, I think I used the UAD Brainworx GK 800 bass amp plug in, with a parts bass that’s basically a P bass. In Good Company. Started life as the demo for the Bogner Lyndhurst compressor pedal. I loved the Pink Floyd-esque E minor jam groove, and I thought, this’ll be a great tune to have some guests stretch out and jam on! I kept my original guitar solo, which is my PT Sig guitar and the Bogner compressor running into the PT100. I played the clean parts using my Suhr Alt T and green Suhr Classic S. I then added the acoustics (Martin D28 and Larivee guitars). Super stoked that Lari Basilio and Tim Pierce contributed solos! They both played just brilliantly. You’d have to ask them but I think Lari used her Suhr T into a Bella and maybe the Riot pedal but I’m not 100% sure. Life On Venus. This started out as a drum experiment that my pal Blair Sinta made. It was just a stereo file with about six minutes of drum grooves he’d made. So all the drums were done first, and I pieced them together into an arrangement and wrote the song to that. He loves to play his drums into guitar pedals using contact mics and such. He gets really interesting unconventional sounds! The intro guitar is filtered using lo-fi settings on the Strymon Mobius. The amp was the PT100, and I’m using the UA OX. I think I used the delay in the OX to make the part bounce around. I add a harmony when the drums come in. I love doing stuff like this; simple, melodic, and atmospheric. The wacky little abrasive leads that come in are the Boss Hyper Fuzz, with wah sometimes (mini Crybaby). If the tone is smoother, that’s the PT ch2 with a Rockett Archer. The unbelievable Mark Lettieri plays the solo at 3:25, I’m not sure what he used but it’s obviously a fuzztone. I play the last solo, and I just went full Steve Stevens meets EVH for that one, attitude wise, which I thought was a nice contrast to Mark’s eclectic, fusion-esque fuzz solo. MPc: One of my favorites. PT: I know! I wrote this over 20 years ago. It originally had a vocal part, but I just re-interpreted it as an instrumental. Mainly it’s my [Martin] D28, recorded with a Mojave M200. I did some ambient guitars in the background as well. MPc: A standout track, maybe my favorite. Session players a lovely bonus. PT: Yeah. This is one of the tunes I cut with Steve Stevens on bass and keys and Billy Idol’s drummer, Erik Eldenius, on drums. Interestingly, Erik now lives and has a studio in in the place I lived in many years ago when I started making Guitar Nerd, my first album. It’s where I recorded songs like “Revenge Of The Nerd” and “Into The Ether.” It’s also the space you see me in when I recorded my very first YouTube videos. I just think it’s cool that some music for the new album was cut in that old space of mine! I play my old ‘66 Tele on the main riff. The solo, I cut in my LA studio space and at the end of the solo I was playing wah but I wanted to have a trail of delay wash in, I remember having my friend Rob turn on the echo for me, so I could stay on the wah [laughs]! Kyushu Blues. The main guitar parts are my 1964 Strat into the Suhr SL68, and I’m using a 4x12 with Celestion Blackback G12M speakers from the ‘70s. On the leads I used my Suhr Classic S, the white one, with a roasted alder body and neck and vintage six-screw trem, and a Thornbucker in the bridge. I used the BAE Hot Fuzz and Rockett Archer for some extra sauce. All Is Not Lost. This started life as a song for the video demo of the Vintage Revolution analog multi effect unit. I’m not sure if it’s still made, it was an interesting piece of gear that sounded great. I kept the first solo and the slide guitar from the original demo, so the effects like echo and distortion on those parts are all coming from that piece of gear. Once again it’s Erik on drums and Steve on bass and keys/programming. The nylon string in the middle is my Godin, plugged in d.i. I really like the 6|8 groove, and the kind of spacey, prog feel. Steve really added to this one. You hear his personality and musicality coming through loud and clear. I love collaborating with him, such an honor. This guitar rings like a bell, it’s made out of old wood and has a lively acoustic unamplified tone that the two P90-style pickups amplify just beautifully. All three pickup positions sound stellar! The part was inspired by a video by Lari Basilio, she was playing demonstrating her MXR M300 reverb. It sounded so great and I had one, and I’d never really used it, I plugged it in and discovered how awesome it sounded and wrote that part, once again inspired by Lari’s tone and super melodic and soulful, musical playing. I then decided to segue into a Pink Floyd-esque outro jam. It’s Curt Bisquera on drums and the awesome Chris Chaney (Jane’s Addiction) on bass.